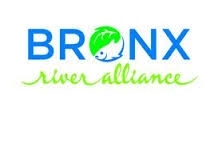 Enjoy a short paddle on the Bronx River with the Bronx River Alliance and experience the beauty of this reclaimed local gem, home to an incredible variety of fish, birds, and even beaver! The Alliance works toward the conservation of the river as an ecological, economic, and community resource. We will meet at Burke Bridge in the Bronx Forest, it is located very close to the 2/5 Burke Ave station. Please complete form if you are interested in attending.